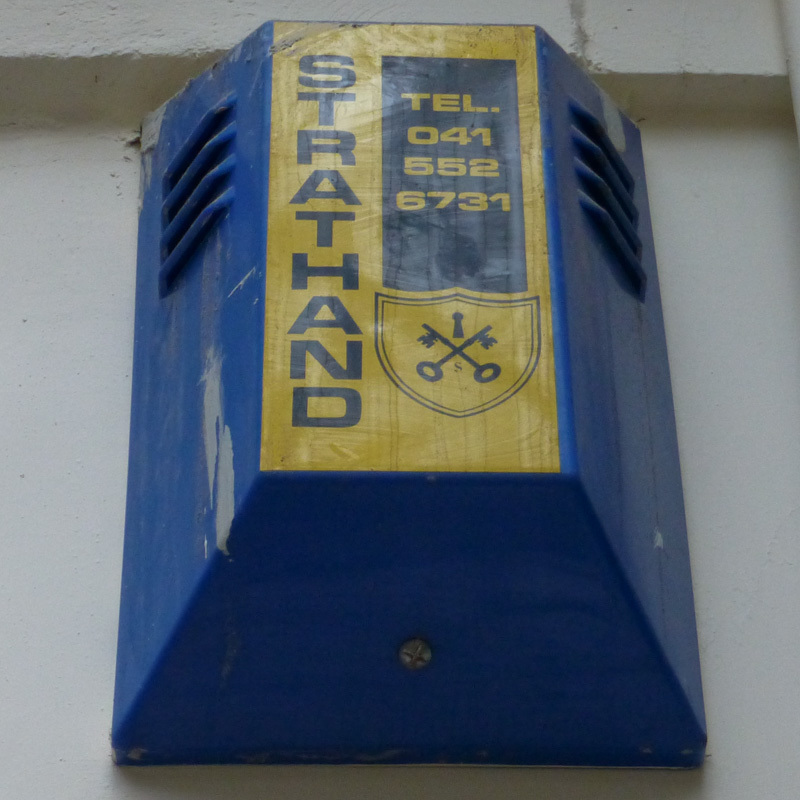 Strathand, Alexandra Park Street, Glasgow, G31, Scotland, 2012 • Apparently Strathand is a place. Same label but on a red non-slanty box here. And thus endeth the latest round of geographical alarms.